When DiMarzio decided to go for the vintage Tele sound, the creation of the DiMarzio DP173 Twang King Bridge Pickup came to life. DiMarzio wanted pickups that captured the best elements of their favorite Broadcaster and Telecaster sounds -- and then some. 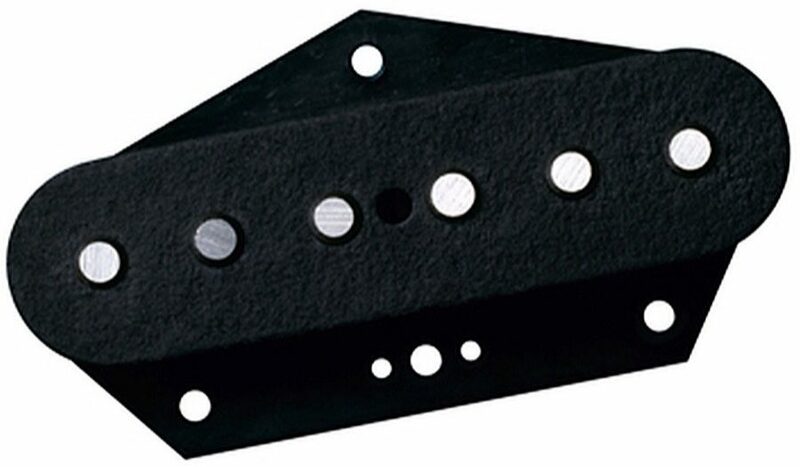 The Twang King pickups have unequalled response to pick attack: light playing produces a soft, quiet tone and hard picking creates a harder, louder, and more dynamic sound than any comparable single-coil. DiMarzio accomplished this with a combination of controlled-tension coil-winding, special wire, and hand-calibrated magnets.The bridge model has a ferrous base plate and is wax-potted twice for squeal-free performance. zZounds is an authorized dealer of DiMarzio products.